Used for attaching heatsinks to CPU GPU, high power LED, chipset, etc. If you have any questions about this product by D-Worthy, contact us by completing and submitting the form below. If you are looking for a specif part number, please include it with your message. Real Professional Premium Grade Gaffer Tape by Gaffer Power - 4 Inch X 30 Yards, Black- Made in The USA - Heavy Duty Gaffers Tape - Non-Reflective - Multipurpose - Better Than Duct Tape! 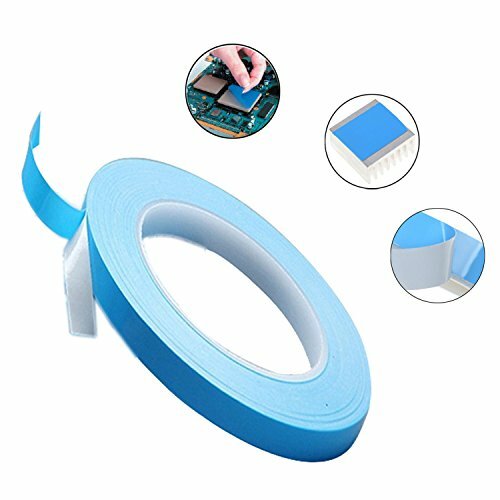 Westspark Aluminum Foil Tape, 2 inch 82ft Professional Grade Roll Silver Adhesive Sealing Tape HVAC, Metal Repair, Patching Hot & Cold Air Ducts, Insulation etc.